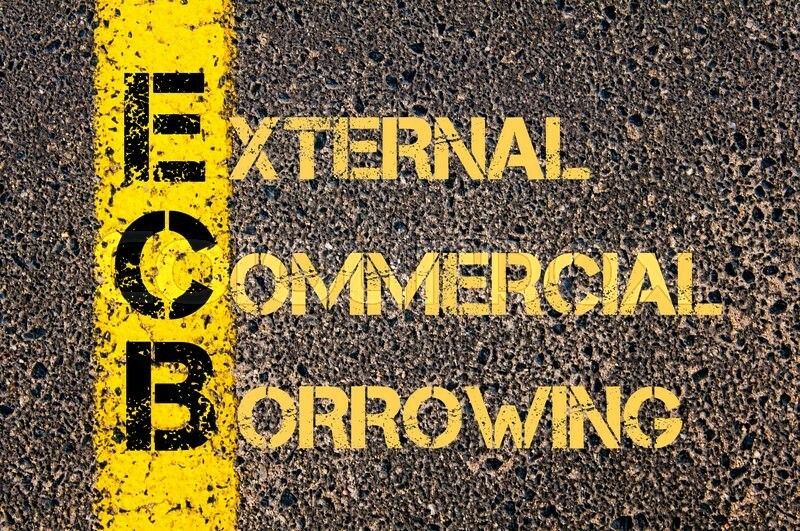 Any money that is borrowed from a foreign source or foreign institutions (for entities that are eligible to take them as per RBI guidelines and other laws governing such borrowings) the objective of which is to finance the commercial activities in India is known as ‘External Commercial Borrowings’. Loan from a foreign bank such as HSBC Hong Kong or Standard Charted London etc. Foreign Currency Exchangeable Bonds (FCEBs). From a lower single digit, foreign commercial borrowings now constitute 38% of India’s external debt of over $470 billion. (Data can be found here). ECBs are an added source of financing for most of the Corporate India. The Government policy emphasizes ECB investments in industrial sectors and strategically core sectors such as aviation, power, infrastructure, telecom, railways, road, etc. However, not all the entities can take benefit of ECBs- As they increase the external debt of the country; it has to be in sync with the foreign exchange reserves. Regulatory policies regarding ECBs and all the procedural requirements are set out by Reserve Bank of India. Some entities are required to take the approval of RBI and borrowings subject to such approval are through “approval route”, others just need to comply with the procedures and no approval is required, such borrowings are through the “automatic route”. How are ECBs different from Foreign Direct Investment? ECB means foreign funding which is not in the form of equity. When it is used in the form of equity capital then it is called Foreign Direct Investment (FDI). Any Investment made towards core capital of an organization such as equity shares, convertible preference shares or convertible debentures. We should note here that those instruments which can be converted into equity are called convertible. The convertible instruments are covered under the FDI Policy. Any other direct capital is not allowed in ECB. ECB Framework –who can borrow? Who can lend? And where can the money be utilised? Note: There are three tracks which set out the minimum average maturity (MAM) period- the above listed borrowers fall into different categories of such track thereby having different MAM period. Foreign equity holders (other than erstwhile OCBs). The basic end –use for which ECBs can be utilized, is on capital expenditure in the form of import of capital goods, New project; Modernisation or expansion of existing units in the Indian “real” sector (which is the Indian Industrial sector), infrastructure and specified service sector hospital, hotel , etc. Real estate sector, working capital, general corporate purpose and repayment of existing Rupee loans. (Issuance of guarantee, standby letter of credit, letter of undertaking or letter of comfort by banks, Financial Institutions and Non-Banking Financial Companies (NBFCs) from India relating to ECB is not permitted). A company or other remaining entities (other than a financial intermediary, registered under the Companies Act, can raise up to USD 500 million in a financial year. If the above mentioned limits are exceeded then the approval route has to be taken. ECB which are not covered under the automatic route are subject to approval by the RBI and depends on case to case basis. Under the automatic route, borrowers have to submit Form 83 to the designated AD cat 1 bank to obtain a Loan Registration Number (LRN). The AD forwards form 83 to RBI Department; loan can only be availed after LRN is issued. Under the approval route, the borrower has to submit an application in Form ECB to RBI. After examination of the application, permission may be granted. When can one seek Lokayukta? Any person who is aggrieved by any administrative action by a public servant involving abuse of power for personal gain or corrupt and improper motives causing harm to the government can seek his grievance to the Lokayukta.